Jacket fits perfectly and will definitely keep me warm for this mild Central Texas winters. Let me see if I can help others here debating this jacket. Purchased this in a large and I am 6’3 and 200 lbs. Compared to Red Kap and Dickies (lined) Eisenhower, the sleeves are less baggy; for me is a good thing. The sleeve length is perfect; even when I raise my arms, they don’t creep half way up my forearm. The body length is right there at my belt line and not baggy at all (just what I was looking for). At first I was thinking I wouldn’t like the cuff material around the wrists or waist line, but after trying it on, I have no issues with my decision. The jacket is thick enough that I think I can get away with this being my only “winter jacket”. 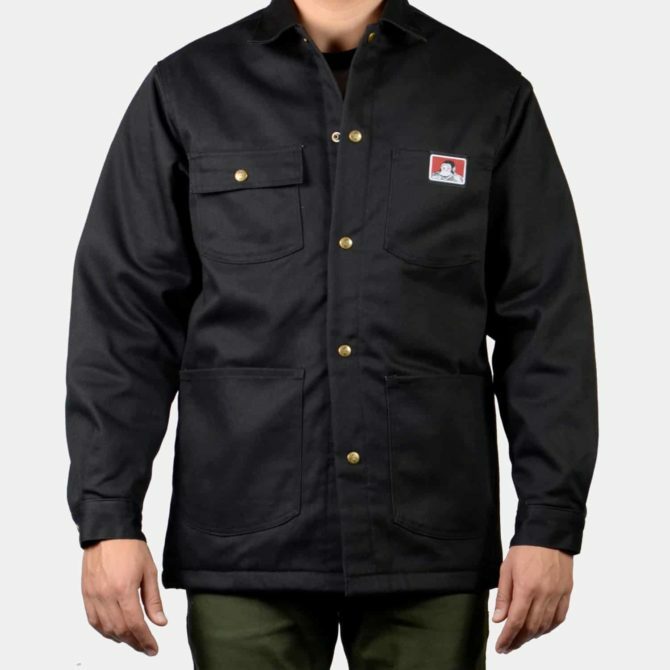 If you are looking for a good “mechanic’s” jacket, this is the one you should go with. If something were to happen to it, I would replace, no doubt. All in all, this jacket will break-in in no time and should be around a long while. I’m 5’11” 185lbs. Athletic built. What size do you recommend? Would a Large fit perfect? I am 6’2” with long arms, what size do you recommend? Sickest jacket I’ve ever worn and owned. You bet I’m going to wear this jacket with pride and strength! The shell is real heavy duty and is real stiff, just the way I like it. I’m sure in time, it’ll break in and become nice and soft. The polyster lining is great and keeps me warm while being really comfortable as well. 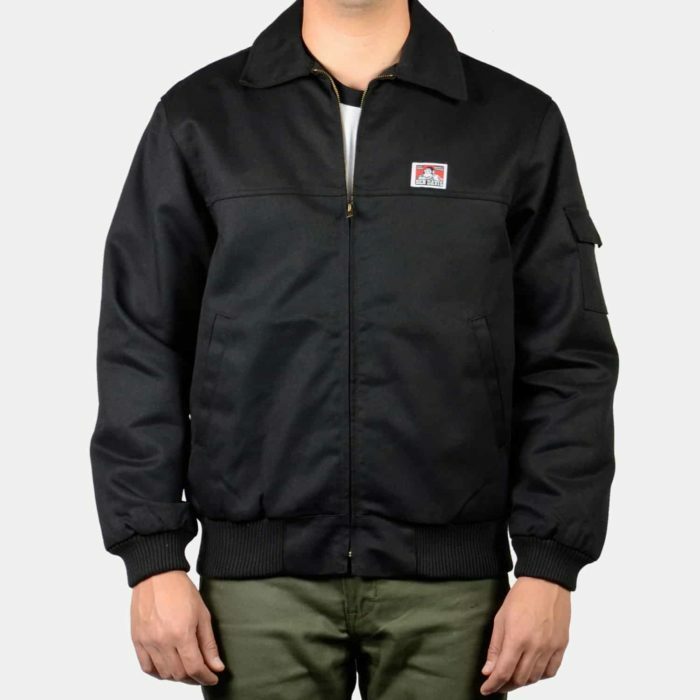 Jacket weighs about 3 pounds or maybe 4 lbs and as you expect you’ll look great while working. The double stitching and zipper is spot on. This is my new everyday jacket for years to come. I am really satisfied with this purchase. I’m about 5’8 and 158 pounds with a normal body shape, size M fits perfectly. Enough space to move, but not really baggy. Especially the length is good, just reaches under the belt, just like on the photo with the model. The look of this jacket when i had one was very unique. I was impressed. The cut fit me better than any other jacket in memory. More jackets should be cut like this was.